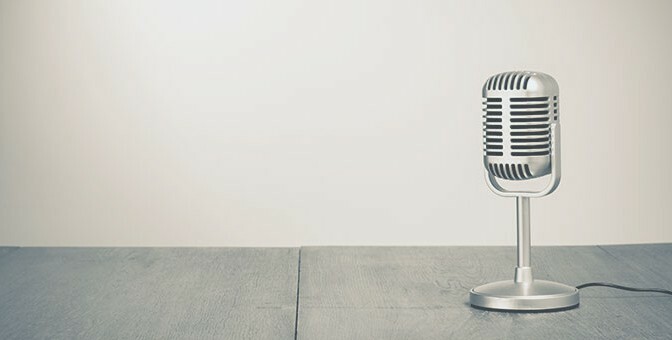 Earlier this month, Canadian Securities Exchange CEO Richard Carleton sat down for an interview with Peter Murray of Kiyoi Communications to discuss the latest developments at the CSE. Among the topics covered were the performance of the CSE in 2015, the expanding international profile of the CSE, the landscape for early-stage firms raising capital as well as the upcoming enhancements to the CSE. 1. Let’s start with a review of 2015 in general. The Canadian Securities Exchange issued a press release recently highlighting continued growth in issuers listed, trading volume and other key metrics of performance. Can you comment on these and is your success a sign of companies finding that financing and other business activities became somewhat easier last year? Actually, I think it is an article of faith in the industry that it is more difficult at the moment to raise public capital than it has likely been in a generation. And that is not just for companies that operate in the commodities space — given what we’ve heard from the entrepreneurial community it has been a challenge for companies in all sectors to raise capital over the past 12 months. That is why I believe it is important that despite those difficult conditions we grew considerably last year over the record pace we set in 2014. We had the strongest year ever in terms of trading volume and grew the issuer base by 20%, among other achievements. I think the underlying message of the exchange, which is that we work with a broad number of industry participants to deliver the lowest cost of public capital, really is resonating with the entrepreneurial community. And frankly it is perhaps as a result of the difficult times that we have seen our business continue to grow. 2. It was encouraging to see several companies based in the United States make their public trading debuts on the Canadian Securities Exchange in 2015. Why did they choose the CSE over the alternatives and how is the listing process different for a company domiciled outside of Canada? As with a Canadian company, an international company has to become a reporting issuer in one of the Canadian provinces before they qualify to list on the CSE. That is accomplished in one of a variety of ways, which can include an offering or non-offering prospectus. At some point in the not too distant future there will be the opportunity to do so via an offering memorandum. There are also the traditional techniques of reverse takeovers and asset purchases that have been used in Canada for years for private companies to become public. For US companies in particular, I think it is fair to say that regulatory costs and civil liability burdens have put a significant hole in their early stage public capital markets. Much of the early stage capital is coming from venture capital and private equity sources. Companies look at the public market as an exit, not necessarily as a means of raising growth capital. So, when people who need to raise from $5 million to $50 million to build a company understand that you can do that in the public markets in Canada, it becomes a very attractive option. Additionally, I would point out that entrepreneurs who take their companies public can often retain more control over the future direction of the enterprise than if they accept investment from a venture capital or private equity firm. You often see venture capital and private equity investors exert a very heavy hand on the future direction and management of businesses. From a cost perspective and that of the ability to control your destiny, people around the world find Canada a very compelling place to raise growth capital. 3. Can you give us some feedback on your interaction with issuers in 2015? And looking forward, what do you sense their goals and expectations are for 2016? Let me start in more general terms by highlighting the results of a series of events we instituted in 2015 called CSE Days. These took place in Vancouver, Toronto, Montreal and New York. We invited issuers from each of the Canadian cities to spend a day with us talking in the morning about issues of specific interest to listed companies. We also focused on helping companies improve their presentation skills by having coaches work with their executives. We concluded the day with a mixer event where the corporate finance community was invited to meet the issuers and the keystone was the companies delivering two-minute pitches to the audience. Our issuers universally found these days to be helpful. They also found it worthwhile to meet not just their peers in the CSE issuer group, but to be introduced to a broader cross-section of the advisors and corporate finance professionals working in each city. As far as what issuer goals and expectations are for 2016, I don’t think anybody is expecting conditions to change dramatically for the better in the commodities markets. The belief seems to be that it will continue to be a challenging environment for early stage companies of all kinds to raise capital. That being said, it is abundantly clear that there is more investor interest in technology, biotechnology and biopharma undertakings. Through the applications we are receiving we see what seems to be a general rotation of investor interest into those sectors. 4. Are there any other key developments from 2015 to highlight? One of the first things the Canadian Securities Exchange decided it had to deliver was full electronic access to all of the discount brokerages operating in Canada, given that retail investors play such an important role in junior capital formation. It actually took until spring of last year to bring on board the last of the bank discount brokerage firms. And we saw as each of them came on over the last couple of years, significant enhancements in both the trading activity and market quality. That was a really important milestone, not just for the organization but for the issuers, and one I am pleased to say that we finally completed last year. 5. As we enter 2016, what are the trends you hear from the investment community, and how will these affect the CSE and its issuers? How can the CSE influence those trends? As we start 2016 there is no shortage of concerning news. I recently heard Ian Russell, President and CEO of the Investment Industry Association of Canada, present the results of his organization’s CEO survey conducted in November, where they spoke to almost 200 of the chief executives of the registered investment dealers in Canada. The picture they painted was quite bleak. They anticipate that costs, chiefly driven by regulatory initiatives, will outstrip any revenue growth, and that there will continue to be a large number of independent dealers in financial distress as a result of difficulties in traditional strengths of the Canadian economy. In working with that community we continue to look for ways to reduce their cost of operating wherever we can, to try to bring more business opportunities to the dealer community and ideally lower their cost of operations. There are definitely things we can do as an exchange as well and international initiatives are a good example. When we attract companies from overseas to list in Canada, they are going to use Canadian dealers, lawyers, accounting firms and investor relations professionals to manage their go-public process. So we are bringing net new business opportunities to the local community. In addition, we certainly are going to be part of the industry discussion about ways to try to improve the trading process in a manner that protects enterprise values for issuers and their investors. 6. Let’s discuss one of your international initiatives. The Canadian Securities Exchange signed a Memorandum of Understanding with the Taipei Exchange in November, and this comes on top of a close working relationship with the OTC Markets group in the United States. What benefits are there to the exchange itself from such international relationships? How about for issuers? Really, the two questions are intertwined. We find that when companies list in jurisdictions in addition to Canada and have raised money in those jurisdictions, their liquidity profile improves overall. We see tighter spreads and deeper markets for domestically listed companies that are also quoted on the OTC market in the US or Frankfurt in Europe. Many Canadians aren’t aware that Taiwan is a very dynamic economy heavily involved in precision manufacturing. Taiwan has a sophisticated material science community and in fact enjoys a large positive trade balance with the People’s Republic of China. The issue that business people in Taiwan have, which is very familiar to Canadians, is that notwithstanding that expertise, it is a relatively small economy, with a population of some 22 million. As a result, Taiwanese companies are looking for access to the global economy and over the years, for a variety of reasons, have looked to the United States for public capital and to establish that North American presence. 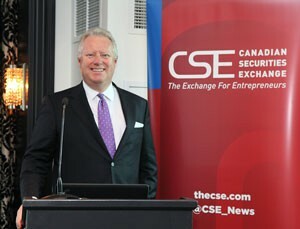 The CSE has always had a strong proposition for companies looking to access North America but at a significantly lower cost and regulatory footprint than they would see in the United States. We had an opportunity to meet with a variety of members of the Taiwanese financial community, including the Taipei Exchange, which is the medium and small enterprise exchange there. We have agreed to compare notes and look for opportunities to promote our issuers in the Taiwanese market, while also searching for opportunities for issuers on their market to potentially list in Canada and obtain access to North America. For our issuers it is really the same thing. Taiwan has a sophisticated marketplace which is prepared to invest in early stage stories, especially in the technology space. We have a lot of companies that are looking to obtain an Asian presence, and just as we are a low-cost alternative to the United States, there are a lot of advantages for companies to use Taiwan as their stepping stone into the Asian market. 7. The regulatory landscape is constantly developing. Anything to comment on with regard to change at the CSE or ongoing collaboration with regulatory authorities? We will be publishing proposed changes to our listings criteria in the next few weeks. Keep in mind that we have not amended the thresholds to qualify for listing since the material was originally filed with the Ontario Securities Commission in 2002. We will be raising the bar, but I don’t think the new standards would have had an impact on companies we have listed over the last couple of years had they been in place when those companies applied to us. We will also likely introduce continued listing requirements that will entail certain enterprise value, size and business activity with the notion that the companies listed on the exchange must have a workable business plan and sufficient capital on hand to fund the programme for a reasonable length of time. Another initiative is cooperation with the market-making community in Canada to see how we can incent their participation in our markets to a greater degree than happens currently. This will be with a view to ensuring there is a meaningful, two-sided market for every security listed on the Canadian Securities Exchange. It is a real challenge for junior markets – and this is true around the world – to provide for appropriate levels of liquidity for early stage companies, but we have a dealer community in Canada that is working with us to come up with solutions. 8. How do you continue to define the CSE in 2016? How does it differentiate itself from the other exchanges that small-cap and/or early stage companies might consider when they are thinking about going public? It may sound like a cliché, but we always bring everything back to our overall mission, and that is to deliver the lowest cost of public capital to entrepreneurs looking to tap the Canadian equity markets. With that very clear mandate in mind we can measure all of the activities we are contemplating and if we are making progress in that direction then we know we are on the right track. We believe that not just given our fee structure but the overall cost structure for companies listing on our exchange, that they are in fact achieving the lowest cost of public capital as things stand currently. We also need to continue to emphasize that the CSE serves entrepreneurs and that we have built an ecosystem that puts them in the middle. We are an independent exchange guided by the voice of the entrepreneur and that truly sets us apart.